Possession of cocaine is one of the most common crimes in the country as well. Police make more cocaine arrests than practically every other drug crime on the books except for possession of marijuana. And because drug crimes in general are the most common arrestable offenses, possession arrests account for a large portion of all arrests. The Maryland cocaine lawyers at The Herbst Firm have experience defending drug cases from arrest all the way to trial. We understand that many cocaine arrests in Baltimore and throughout Maryland are sometimes the result of illegal stops and searches, and we will relentlessly fight to try to have your case dismissed. 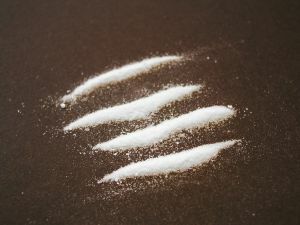 Cocaine possession cases present a unique set of challenges and opportunities for defense lawyers. Many coke possession cases consist of small amounts of the drug, typically less than a few grams. Under state law there is no minimum amount of the drug required to file a criminal possession charge. Some cocaine possession defendants are even arrested with residue amounts of the drug. This fact may allow a criminal defense lawyer to file pretrial motions challenging the way that a police officer found the cocaine. For example an officer may state that he or she discovered the drugs while performing a lawful pat down search, but in many cases discovering cocaine on a person would be impossible via a pat down search. Police may also find coke in a person's vehicle after a traffic stop through an illegal search, but because it is relatively odorless to humans, police may have a hard time proving reasonable suspicion to search a car. A cocaine lawyer in Maryland may also be able to file a motion to suppress the drug evidence, due to the police performing an illegal search of a car. The cocaine arrest numbers in America are staggering and it is a simple reality that many of these arrests never should have taken place. The Bureau of Justice Statistics or BJS keeps track of arrest numbers from all law enforcement agencies such as the FBI, DEA, and local police departments. The BJS reported that of the 14 million arrests made in 2007, over 1.8 million were for drug abuse violations. The BJS further reported that over 20 percent of these 1.8 million drug arrests were for possession of cocaine. If you do the math, that is over 360 thousand cocaine possession arrests per year, or 1,000 per day. Police made over 700 thousand marijuana possession arrests in 2007, but there is no other drug crime that comes close to cocaine other than marijuana in terms of shear arrest numbers. Coke is classified as a schedule II dangerous controlled substance, and possession of cocaine is a misdemeanor punishable by up to 1 year in jail. If you or someone you know has been arrested for drug possession, contact the Maryland cocaine lawyers at The Herbst Firm at 410-207-2598 for a free consultation.